When you think back about the Houston Oilers of yesteryear many thoughts come to mind. Some think of Warren Moon and the Run & Shoot offense that thrived from 1989-1993. 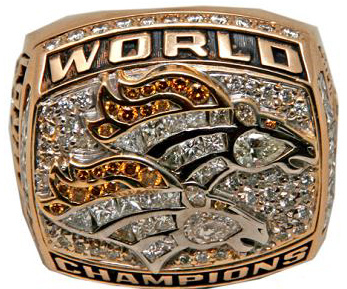 Some think back to those Bum Phillips teams that made the 1978 & 1979 AFC Championships. Others flash back to the days when Earl Campbell was terrorizing defenses while playing for those late 70’s squads. Our CEO remembers them all but really perks up to the style of defense that hit the Astrodome in the 1987 season. This was the era right before Warren Moon and the Run & Shoot started to make a name for themselves. Under Jerry Glanville, the Oilers became a super aggressive blitzing team. What he was doing was re-creating the “Gritz Blitz” when he was defensive co-ordinator of the Atlanta Falcons back in the late 1970’s. One little known fact about the Falcons under Glanville is they established the league record for fewest points allowed in a 14 game season with 129 in 1977. Better than the Pittsburgh Steelers teams that won 2 Super Bowls before that, the great 1976 Steelers defense, and better than the 1968 Colts who once held the record at 144 on their way to Super Bowl III. Who’s record did they break?? Try the Minnesota Vikings “Purple People Eaters” who gave up 133 on their way to Super Bowl IV. Yet the rule changes of 1978 changed much of what was happening bef0re. No longer were cornerbacks , linebackers, or safeties able to hit receivers down-field before a pass was thrown. They now had the 5 yard “chuck” rule and it took awhile to adjust but the Oilers took on that tough persona and were an in your face team. They hit hard, talked big, and had a lot of fights during that time. Their defense gave a franchise an identity that had been badly searching for one. The ringleaders were SS #25 Keith Bostic (from Michigan), FS #31 Jeff Donaldson, and LB #93 Robert Lyles. Yet all that bravado, cheap shots and attempts at intimidation came at a heavy price. The NFL is an eye for an eye league and punishment will be meted on the field of play. By the time the Oilers nicknamed the Astrodome “The House of Pain” they produced bulletin board material for all who played against them. Much like teams facing the Dallas Cowboys and their “America’s Team” mantra, every other team brought their “big boy” pads to dish out some hits on the Oilers as well. It was great theater. One of the most vicious games in NFL history was when the Oilers went to Philadelphia to play the Eagles in 1988. What preceded the game was the late Toby Caston walking around Veteran’s Stadium with that Army helmet on. Buddy Ryan’s Eagles were ready and both teams passed out highlight reel hits all game long. In the video, you saw #21 Evan Cooper completely knock out Oiler receiver Ernest Givins with a shot to the chest. Apparently time doesn’t heal all wounds because when these two matched up again in 1991, https://taylorblitztimes.com/2011/06/10/death-becomes-of-the-run-shoot-on-a-monday-night/ a nation got to see it up close and it was brutal. Except the Eagles handed out the best hits in a 13-6 epic. The Oilers were not great sportsman but they made you watch. Heavy hitting group that played hard. Were they dirty??? Whatever happened to the Run & Shoot as a pro offense?? You remember in the early 90s, when several downtrodden franchises looked to this offense to gain a tactical advantage on the competition. Atlanta, Detroit, Houston, and Seattle deployed 4 receivers who ran their routes according to how defenses were playing them. 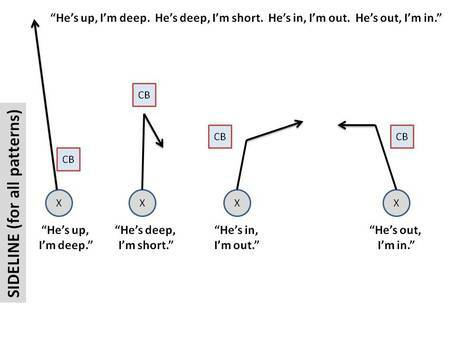 Borrowing on a concept from Bill Walsh’s offense, it was up to both the receiver and quarterback to read the defense, then adjust the route accordingly. The truth of the matter is for each team with 4 receivers; the 3rd and 4th receivers were better than the opposing 3rd and 4th defensive backs that were normally platooned to cover them. These teams started racking up yards by the bushel and along with Buffalo’s “K Gun offense”, the zenith of the Run & Shoot was 1991 when each team, except Seattle. who abandoned the offense in 1990, made the playoffs. The Bills set offensive records for TDs scored and 33TD passes in a season by Jim Kelly. In fact Thurman Thomas was NFL MVP with over 2,100 combined yards from scrimmage. Everyone thought of the Bills “No Huddle” offense as an offshoot of the Run & Shoot because of option routes run by Andre Reed in the slot and Thurman Thomas out of the backfield. Teams had a hard time adjusting and no matter how your corner played any of these receivers, the receiver would change his route and use the corner’s position against him. For instance if the corner played outside position in a cover 3 zone, the adjustment would be a seam route by the slot receiver, or a skinny post for the outside receiver. That same corner came up in press one on one, the receiver would try for an outside release and run a fly pattern. In a cover 2 where the corner was off, he would adjust and run a hook with the underneath receiver running a down and out underneath his pattern, as the outside receiver occupied the corner. What could a defense do to combat an offense that used your very choices against you? Enter the NFC East. This was the division that each team fielded twin 200 lbs. safeties receivers were funneled to. Whether it was Myron Guyton / Greg Williams with the New York Giants, Danny Copeland / Brad Edwards of the Washington Redskins, or the more punishing Andre Waters / Wes Hopkins duo that was on patrol in Philadelphia’s Veteran Stadium. Where most teams were employing mainly dime defenses that were off the receiver, these teams started fielding nickel and dime defenses with cover two over the top and bludgeoned smaller run and shoot receivers. Many pundits look back to the Giants 1990 Super Bowl XXV defeat of the Buffalo Bills and their use of a 2 man line nickle and dime variations to slow down Buffalo’s no huddle / run and shoot tactics. However thats misleading…the Giants conceded the run to the Bills (see Thurman Thomas’ 135 yards rushing) to set the tone punishing receivers with hits from the linebackers and safeties. It was more of a victory based on the strong time of possession difference from the methodical Giants offense more than defensive tactics. A 40:31 to 19:29 possession time difference as a matter of fact. Although Super Bowl XXV, at the end of the 1990 season, did set the blueprint for playing physical defense against this speed type offense. So when and where was the run and shoot conquered as an offense?? A defense that ranked near the bottom in ’88, Buddy Ryan helped their esprit de corp when he drafted only four players in 1989 citing he liked his guys. The team grew defensively into a giant by 1991 although Ryan was no longer with them. The defense kept them in games week after week and they came into this matchup 7-5. Could they best the #1 passing offense in the league? Could they do it on the road? The Houston Oilers were the vanguard of the run n shoot teams and with Warren Moon had put up the most prolific numbers. In 1990 Moon passed the Oilers to the playoffs with 4,689 yards and 33 TDs. The most since Dan Marino’s record setting 1984 and he missed 1 full game and time in 2 others. Along the way he passed for 514 yards against the playoff bound Chief’s #6 ranked defense. Coming within 41 yards of Norm Van Brocklin’s 50 year old record of 554. Alas Moon suffered a broken thumb and missed the Oiler’s playoff loss to Cincinnati. Going into 1991, Moon was on a near record setting pace again and some thought this, and not Buffalo was the strongest AFC team. The Redskins were 8-0 and the Oilers 7-1 when they met in a week 8 slugfest with the eventual world champion Redskins. The game was won by Washington 20-17 in RFK, yet they showed they indeed were ready to stand toe to toe with the best the NFC offered. Going into the Monday Night tilt against the beat up Philadelphia Eagles at home, many thought the Oilers juggernaut offense would roll in this game too. What took place over the next three hours was one defensive masterpiece that many defensive affecionados remember reverently to this day. The Eagles employed a 4-2-5 nickel variation with OLB Seth Joyner and MLB Byron Evans, who was lanky for a middle backer yet had great range, for most of the night. Occasionally they’d bring in the dime defense (6 defensive backs) yet what they did differently was press the receivers and blitz off short corners. The hitting was vicious with Wes Hopkins and Andre Waters leading the way. They knocked out both Ernest Givins and Drew Hill out of the game twice each. The first vicious shot was a dirty elbow from Wes Hopkins that broke Givins nose, yet set the tone for the night. 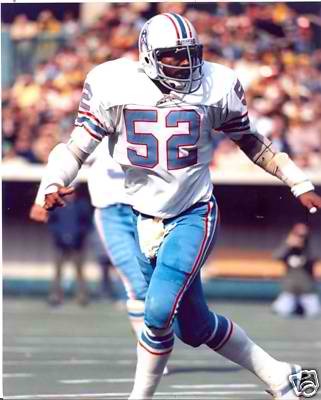 Joyner played his way to the Pro Bowl and almost the Hall of Fame that night with 2 sacks, a forced fumble and a fumble recovery to keep the game close. Reggie White, Jerome Brown (The U), Mike Golic, and Clyde Simmons swallowed Allen Pinkett’s attempts to run holding the Oilers to a paltry 21 yards rushing for the game. They also provided a serious rush that they supplemented with the occasional blitz that beat Houston into total submission before a stunned audience of millions. When dime back Otis Smith’s thunderous hit on Drew Hill, on an outside swirl route, forced Houston’s fifth fumble of the night. The rest of the league were on their second tablet from taking notes. The Eagles won 13-6 in front of a shocked audience. The beating was so decisive it ruined the Oilers season and this game was the complete blueprint on how to stop the run and shoot. 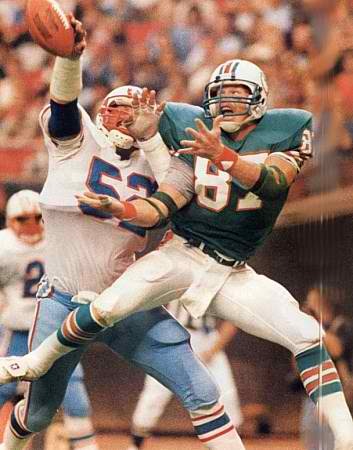 Going into the game the Oilers were averaging 307 yards passing, just off pace needed to break Marino’s passing record, yet staggered away from this game only averaging 232 the rest of the season. The 226 they gained through the air against the Eagles was their season low. The average was also down for the Falcons and Lions over the last 4 weeks of the season as well. The Oilers went down in the divisional round of the ’91 playoffs 26-24 to Denver, and the lone run n shoot playoff winner was Detroit who went on to whip Dallas 38-6. In fact the Cowboys had lost 4 games to run n shoot teams in 1991. The next year the Cowboys drafted a rangy MLB Robert Jones, in a Byron Evans mold, and brought in CB Kevin Smith, SS and former rangy college linebacker Darren Woodson, to stop those offenses the next year. The first of their 3 Super Bowl wins in the 90s and it started with that 1992 draft to mimick what the Eagles fielded in 1991. As for the run n shoot, its effectiveness was diminished and the race for the record book was over. In 1991 Houston passed for 4,621 yards where in 1992 that number dropped to 4,029. In ’92 neither the Lions or the Falcons came within 3 games of the playoffs and the Lions and Bills started to alter their offensive approach. The Oilers along with the Falcons ran the offense until 1993, yet the Falcons never returned to the playoffs…and the Oilers?? Well they went into the 1992 wildcard and took a 28-3 halftime lead on Buffalo who was playing with 6 & 7 DBs on the field. Warren Moon at the half was 19 of 22 for almost 300 yards and 4 TDs and ballooned the lead to 35-3. In the 3rd quarter, the Bills decided to play it the same way the Eagles had in ’91 inserting rangy MLB Carlton Bailey #54 and Darryl Talley #56 and they shut Houston down in the second half enroute to the greatest comeback in NFL history winning 41-38 in OT. Couple these landmark events with the system’s inability to score in the red zone and the run n shoot’s fate was sealed. Even now the run n shoot receiving principles of WR route running based on options lives on in playbooks, just not in a 4 receiver set, nor as an entire offensive approach. As for the Philadelphia Eagles defense that was the architect of the run n shoot’s demise? They went on to become the last great defense to finish #1 against the run, #1 against the pass, and #1 overall. 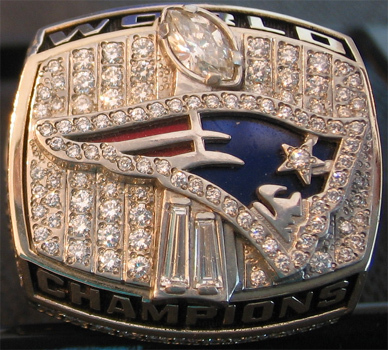 A distinction the ’85 Bears, ’86 Giants, ’76 Steelers, ’78 Steelers, ’08 Steelers, nor ’00 Ravens could match. They finished the season winning 7 of 8 games and finished 10-6 and narrowly missed the playoffs. Reggie White-Became the main prize in 1993’s free agent derby, signed with Green Bay and went on to become the NFL’s all time sack leader. Recorded 3 sacks in Super Bowl XXXI when he became a champion with Green Bay along with former Eagle TE Keith Jackson. They bested the New England Patriots who had former Eagle RB Keith Byars and CB Otis Smith on the team. White passed on the week of Christmas 2004 which cast a pall over the playoffs that year. He was inducted into the Hall of Fame posthumosly in 2006. RIP Reggie White. Commemorative patch worn by the 1992 Philadelphia Eagles in Jerome Brown’s memory. 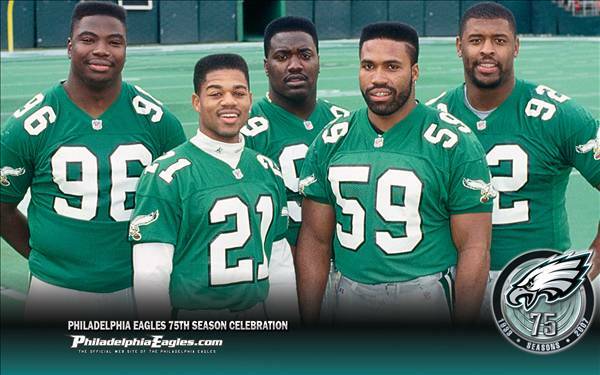 Jerome Brown– An all pro talent who passed away the following June. He’s still one of the most beloved Miami Hurricanes and missed by Hurricane fans everywhere. The 1992 Eagles dedicated their season to his memory and wore this commemorative patch on their jerseys the entire season. They also kept an equipped locker for him throughout the season and set it up on road trips also. His locker was with the ’92 Eagles in the Superdome as they won their first playoff game in 15 years. Seth Joyner & Clyde Simmons– Were twin free agent prizes that signed with Buddy Ryan and the Cardinals in 1994. 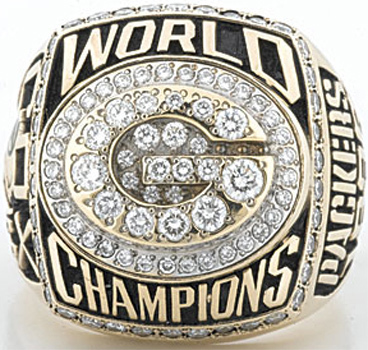 I wrote the Buffalo Bills organization and suggested we grab Simmons and Joyner to join Bruce Smith and Cornelius Bennett to fortify our defense to get to our fifth Super Bowl…yet I digress Joyner went on to join White with the Packers (1997) in their bid to repeat as champions yet they lost to Denver in Super Bowl XXXII. Eric Allen– Played on through the 2001 season finishing with the Raiders. A popular notion is he should have been 1993’s NFL Defensive Player of the Year for his 64 tackles 6 interception performance in which returned 4 of them for touchdowns. The most famous being a 91 yard interception against the Jets. After weaving his way into the endzone, he handed the ball to teammate Randall Cunningham who was on crutches having been injured earlier in the game. His last game as a player was the famous “Tuck Game” in New England in the 2001 playoffs. Former teammate Otis Smith was a Patriot CB. He’s currently an ESPN analyst. Otis Smith-Was an Eagle dimeback in ’91. He went on to be the wily CB for a veteran laden Patriot team that lost Super Bowl XXXI to Green Bay. Yet was a Patriot 5 years later man handling Tory Holt and Isaac Bruce to stop the Greatest Show on Turf as he became a champion in Super Bowl XXXVI. Mike Golic– finished his career with Miami and is half of the popular duo Mike and Mike on ESPN television and radio in the morning.